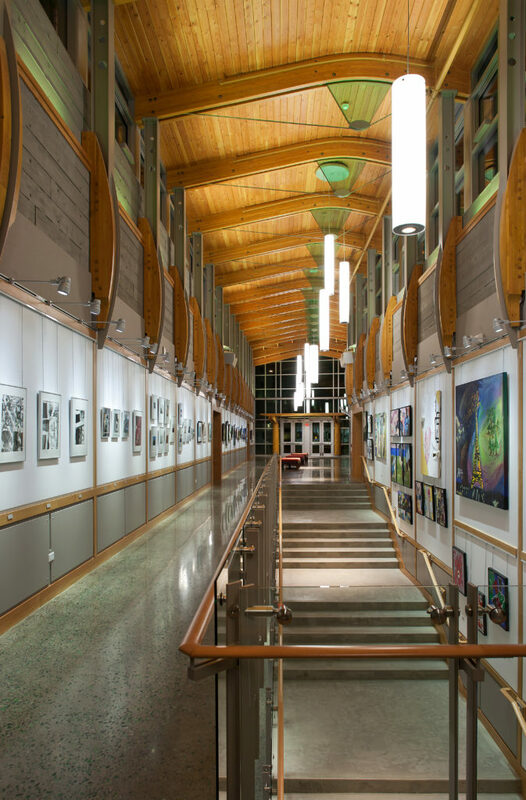 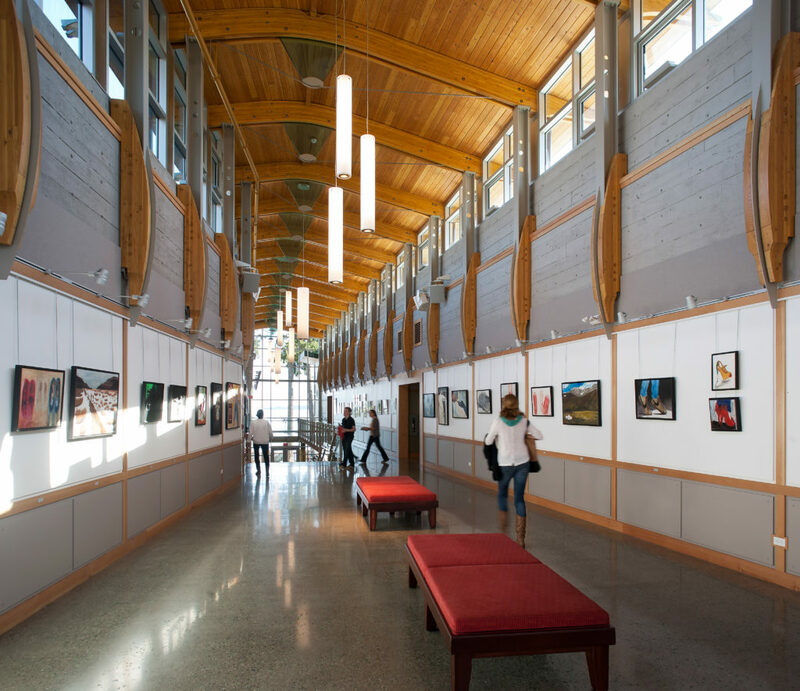 The Visual Arts centre at Brentwood College School houses the independent School’s social sciences and visual arts programs. 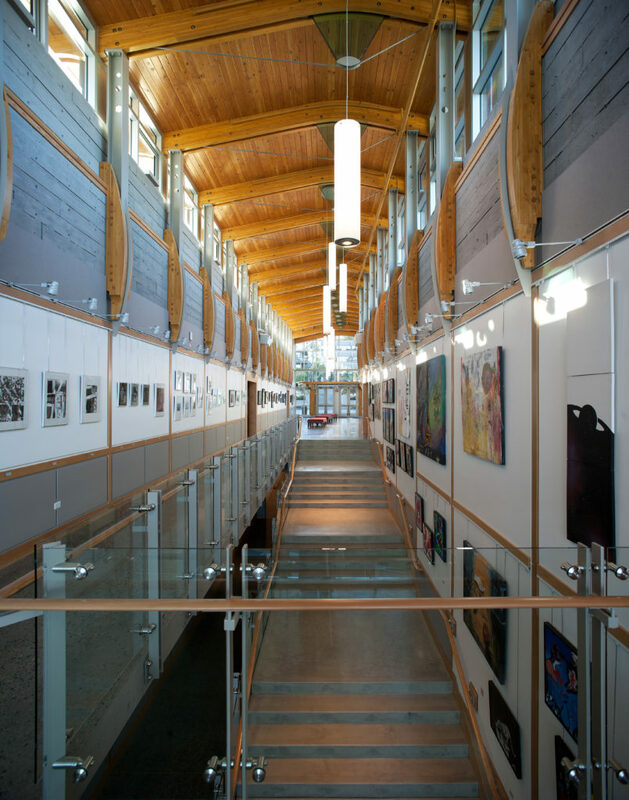 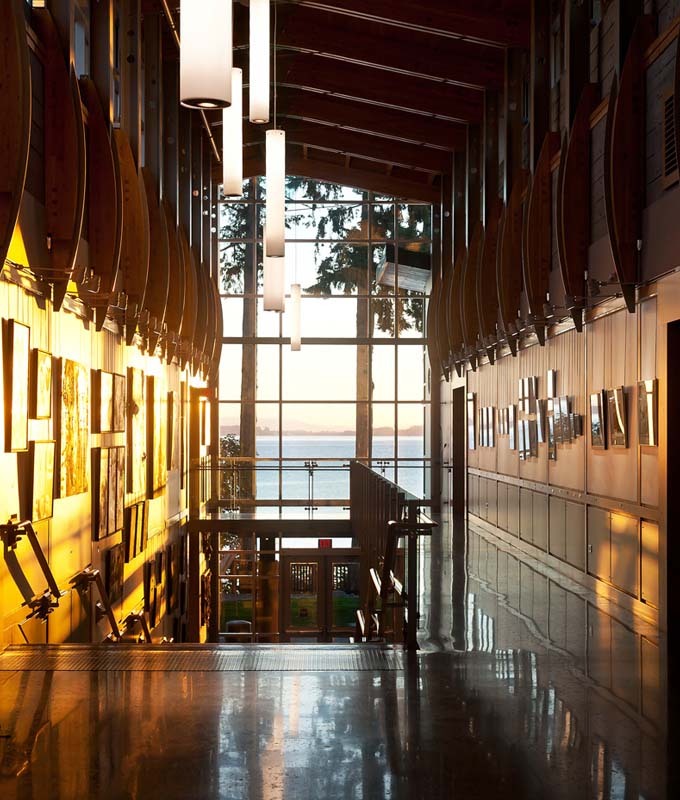 The building’s central corridor, the spine of the building, is abundantly day lit and without any direct sunlight penetration, serves as an art gallery and access for classrooms and studios. 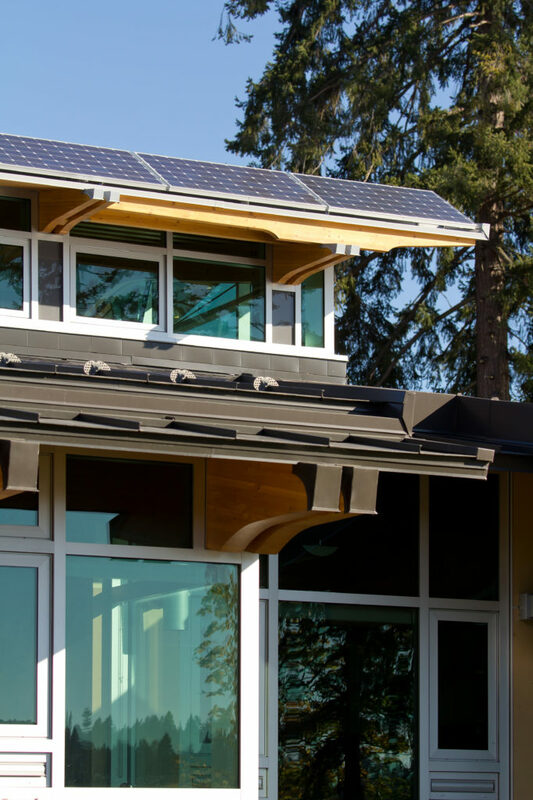 The spine also serves as the lungs of the building, the exhaust mechanism for drawing air from perimeter vent-rows and windows, automated and manually controlled. 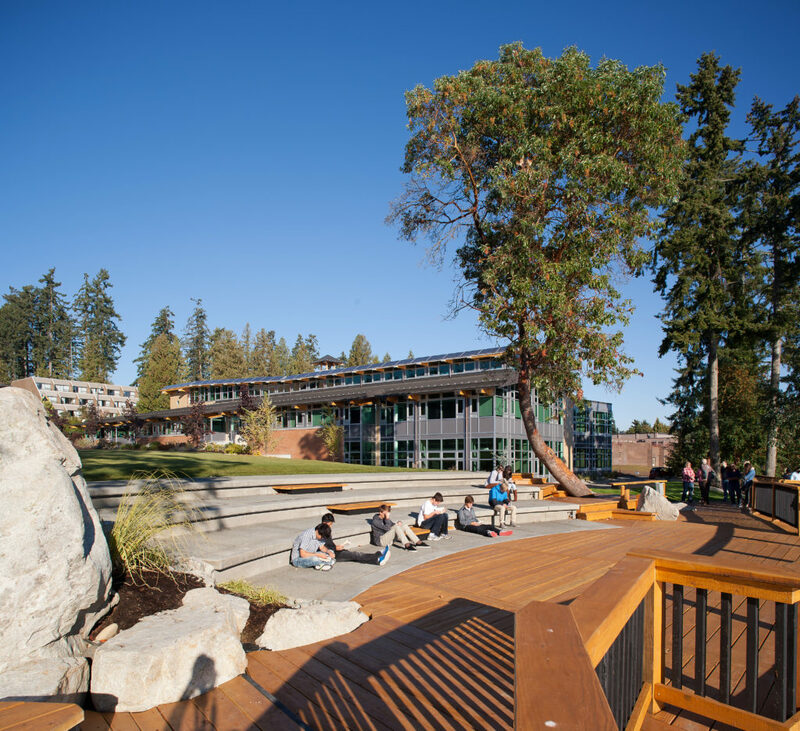 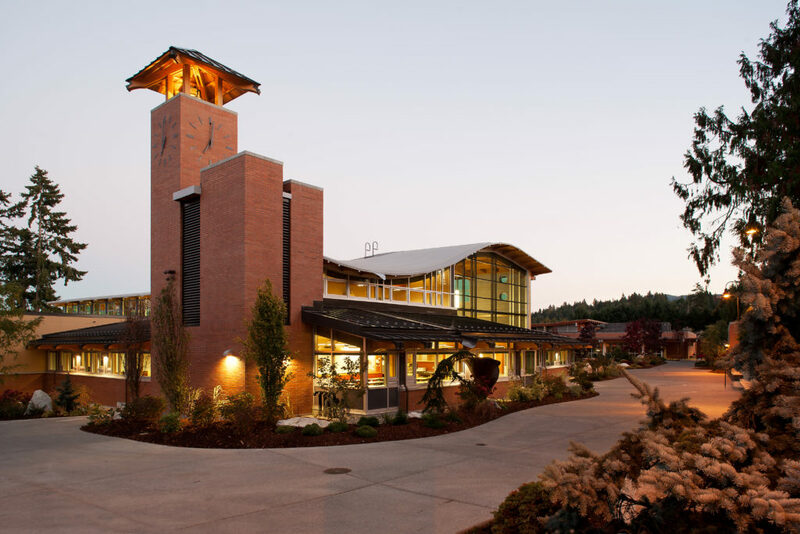 The building’s campanile serves as the campus’s clock and bell tower, while disguising the heat recovery unit that extracts heat from this internal air and returns it to the building. 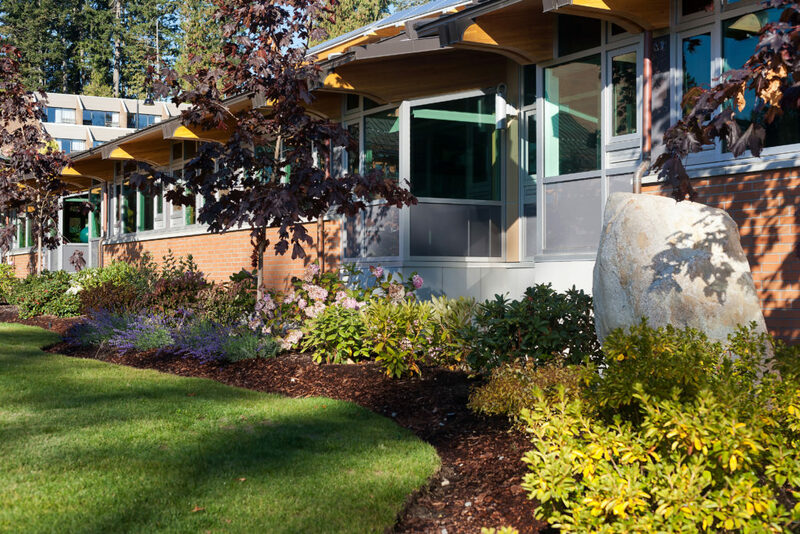 In the cooling season, warm air accumulates in the upper volume of the spine and may be exhausted from upper clerestories through automated openers. 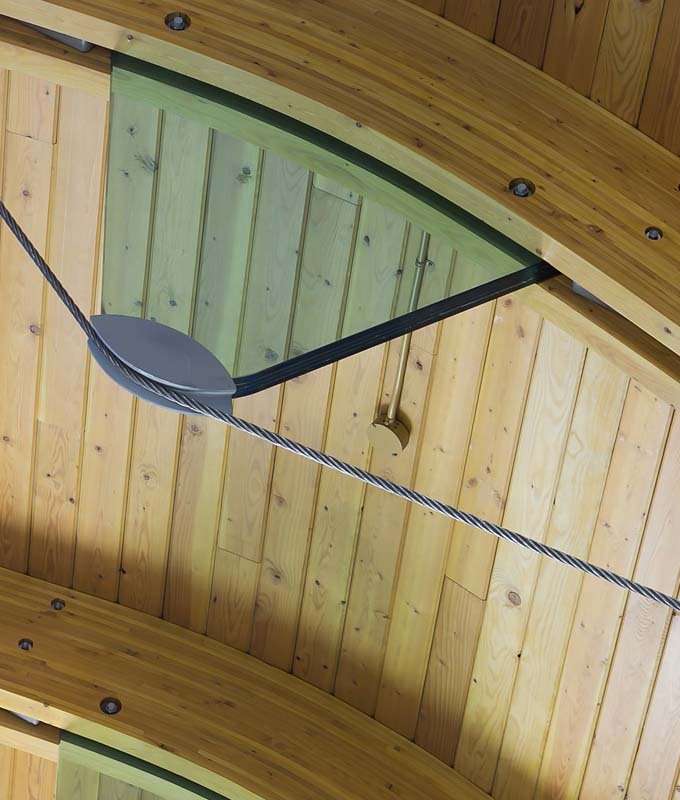 The form of the spine roof speaks to air flow and movement – a gentle curve and flow which is derived from a series of composite trusses along its length. 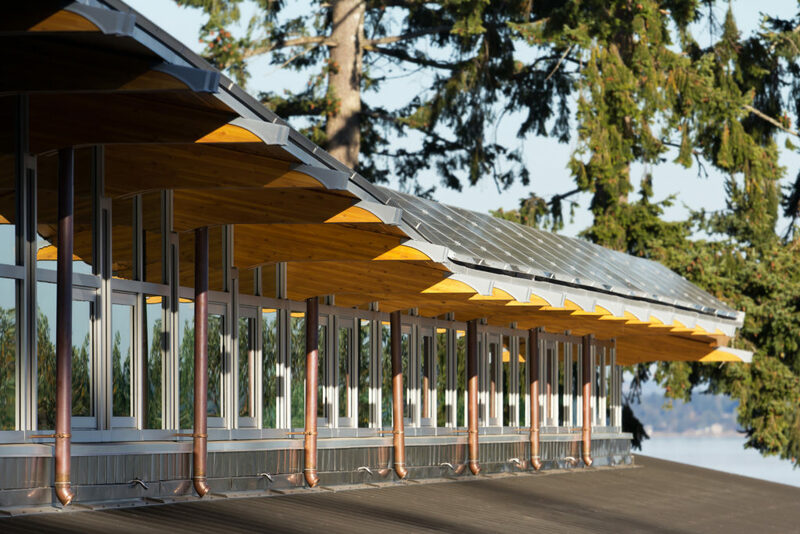 The trusses are composed of paired glulam top chords tensioned with a steel cable, the compressed king-post is constructed of four sheets of laminated glass.